Obviously, one should strive to avoid being in a gunfight. Gunfights are, for the most part, not desirable situations in which to be. They are typically loud, dangerous, stressful situations and may result in injury or death to one or more of the involved combatants. Because of these and other factors, one should seek to find a more peaceable resolution for conflicts than a gun battle. That being said, gunfights sometimes happen whether you want them to or not. There are lists of “Gunfight Rules” floating around the internet on various web pages, in forwarded emails, hanging on gun store walls and other similar places. 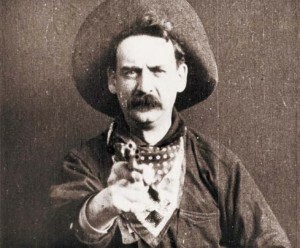 While the source of these rules varies depending upon who you ask, a vague consensus seems to indicate that the first (and, arguably, most important) rule of gunfighting comes from a conversation between Col. Jeff Cooper and Mark Moritz regarding whether or not there are any rules in a gunfight to begin with.